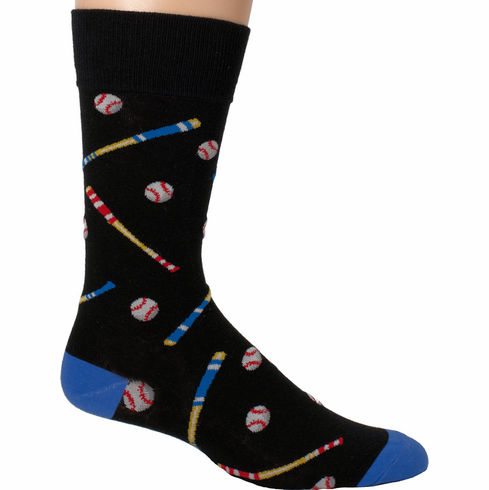 Men's Black Baseballs and Bats Dress Socks. ~ Baseball novelty 2-tone dress socks. ~ 76% cotton, 21% nylon, 3% spandex. ~ One size fits shoe size 6-12. ~ The actual color of the heel and toe is a little darker than the pictures.